Will This New Blockchain Browser Change Healthcare? There is a company called Blockstack that has been flying pretty low under the Blockchain / Cryptocurrency radar. On January 6, 2017 the company announced a $4 million Series A funding event, led by Union Square Ventures. Microsoft is already collaborating with Blockstack and investigating on ways to utilize it’s platform. Blockstack also claims to have the largest “non-financial” based open source community out of all of the blockchain companies, with over 2000 enthusiastic developers / supporters communicating with the company and adding to the offerings via Slack and GitHub. Now all of this “stuff” didn’t get me that excited, because let’s face it, there is a lot of “blockchain bullsh*t” out there and healthcare has seen it’s share as well. If I read about another blockchain EHR that will power medical records and shield Estonia from Russian cyber-invasion, I’m gonna scream! The Blockstack Browser, initially caught my attention. That’s right its a browser, just like Chrome, Safari, FireFox, or dare I say, Microsoft Explorer / Edge. So, I imagined what it would be like to add a blockchain browser to healthcare. I always expected there would be a browser that was focused on blockchain, or at a minimum there would be blockchain extensions that you plug into an existing browser. My little thought experiment continued for a few minutes, and then reality kicked in, because healthcare transactions are some of the craziest, monumentally complex records in the world, and they’re really big. On August 8, 2016 I co-authored a whitepaper with Robert Coli, MD which was submitted to ONC for the Blockchain Challenge. Dr. Coli has been dealing with complex clinical laboratory transactions for decades and holds (2) Patents for a unique laboratory results format. In the ONC submission, we expressed concern about the size and complexity of health data, and the limitations of blockchain. How will blockchain handle such large files that are commonplace in patient records? Even if, it was possible to handle 20TBs of data, how is it going to be decentralized, without significant storage costs? In my mind I thought about singing “Green Grass and High Tides” but my foot started tapping “ Pharrell Williams — Happy.” But, I thought again, “What about the blockchain bullsh*t factor, and maybe I’m reading this all wrong. So I watched every video I could find on YouTube, including Decentralized, Server-less Applications with Blockstack by Ryan Shea at All Things Open, Blockstack at the Decentralized Web Summit with Muneeb Ali. (Recommend if only for @Amazon, CTO, “Sh*t just got real” comment), Blockstack at Digital Garage’s New Context Conference 2016 in Tokyo with Ryan Shea. I read everything I could find, including the MIT Technology Review Article about Blockstack. I know that there is always the potential to misinterpret product specifications, so next, I logged onto Slack and posed a question to Blockstack’s support. Blockstack appears to have found a better way of utilizing the OP_RETURN field on the Bitcoin Blockchain and that could make a huge difference in it’s applicability to healthcare. What does this mean in healthcare? 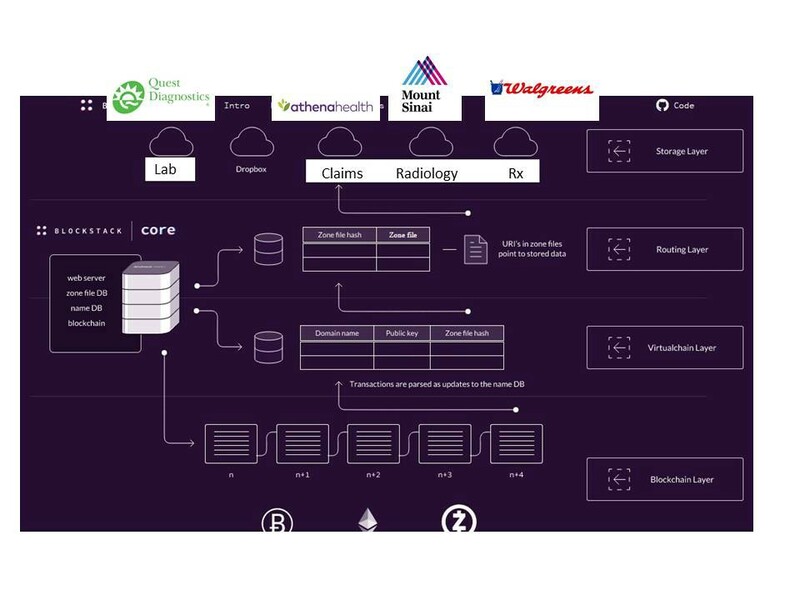 Patients and healthcare consumers will own their own data and be able to send their anonymous medical records to as many different artificial intelligence algorithms for analysis of their entire patient chart. Patients will be able to anonymously communicate with “new” doctors, until such time a degree of trust is created prior to the visit. Patients and healthcare consumers will be able to entertain multiple offers from doctors and healthcare providers. 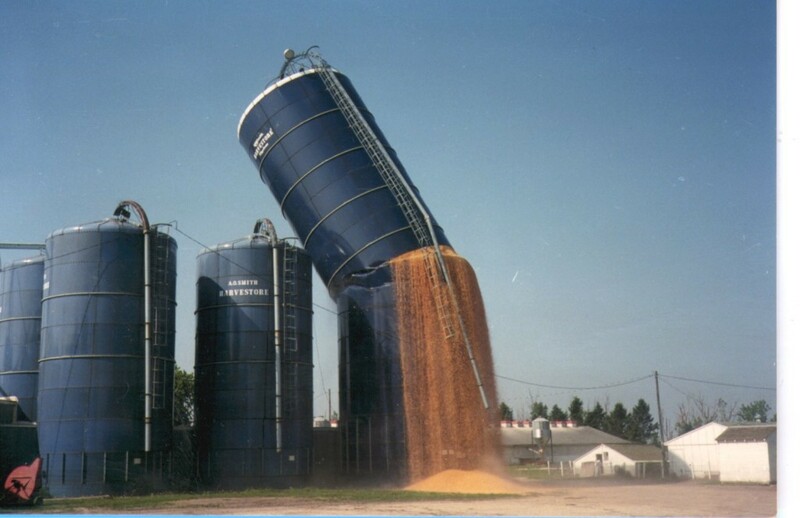 One of the important features of Blockstack and other blockchain technologies that will surely come down the pike, is that they recognize that silo’s exist in the centralized database world, and there is a reasonable way to communicate with these silos using a blockchain. This means existing companies and healthcare organizations will have to adapt and offer additional services that cater to their patients. There is a reason entities like Cancer Treatment Centers of America spent $173 million on direct to consumer advertising in 2014. I’ve seen this before. In the early 1990’s I designed a system that linked with clinical laboratory systems. No one wanted to invest in the company, and venture capitalists told me that doctors were more interested in making payments on their Mercedes Benz than looking at their patient’s data on a computer. 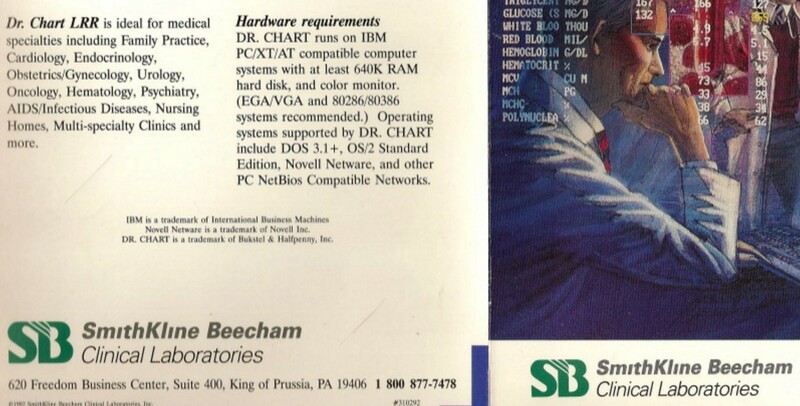 Initially, I was laughed at, because no one thought clinical data was important, and who wanted to work with a new software company supporting PC based systems, in a mainframe world. As more and more doctors were treating patients with HIV/AIDS, laboratories were struggling to help their referring physicians manage the data associated with the new tests and drugs that were hitting the market. I was flown all around the country from Atlanta, San Francisco, Hawaii, and Los Angeles. Doctors would switch laboratories based upon the information systems that were offered. When a doctor switched their referrals, an account worth over $1 million changed hands, which caused many other hospitals an reference laboratories to take notice. 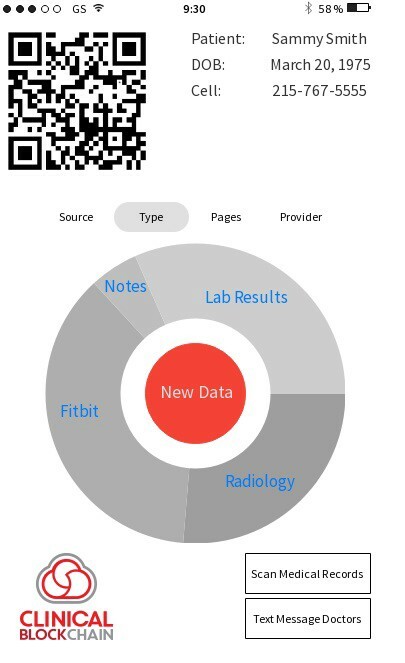 Healthcare providers and clinical laboratories started to offer enhanced clinical data management products to their other clients, including, cardiologist, endocrinologists, and other specialties wanted access to data about their patients. 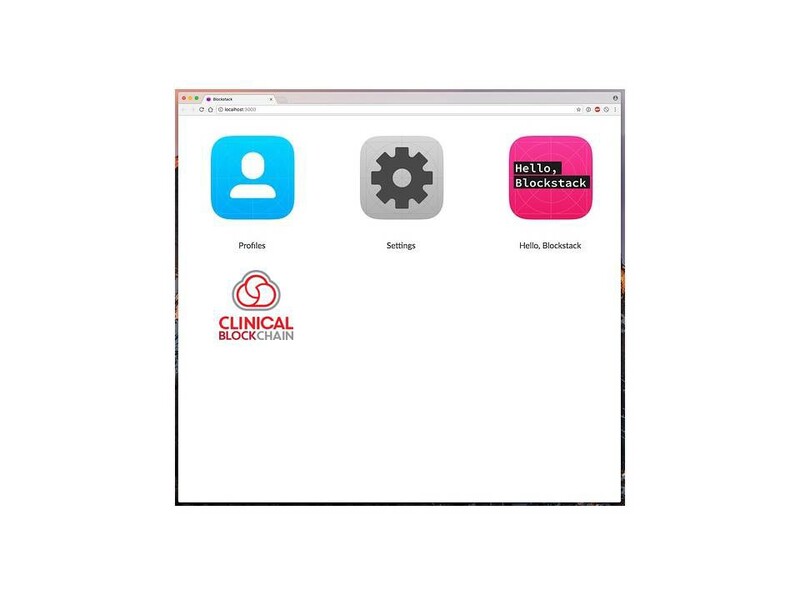 Marketing Brochure for Clinical Lab Reporting Software by Bukstel & Halfpenny, Inc.
Times change, platforms change, but patients and their doctors still want better access and control of information. It will take some time, but with blockchain technology, this goal may be closer than anyone realizes.